Tequilera Corralejo is extending its portfolio with two new flavored tequilas. 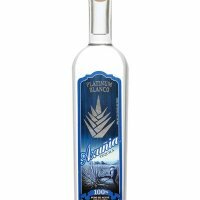 El Diezmo Tequila Chocolate and El Diezmo Tequila Coffee infusion liqueurs will be introduced to travel retail during next month's TFWA Asia Pacific in Singapore (Stand number: B02). According to Tequilera Corralejo, its Tequila and Chocolate combines two major ingredients in Mexico's history, Tequila and Chocolate Cocoa. The drink, Corralejo says, has a unique taste and texture, a creamy consistency and distinct Tequila flavour with notes of "real chocolate" cocoa and is an excellent after dinner drink. 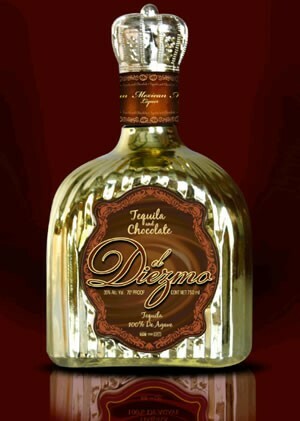 Available in 750 ml bottles, El Diezmo Tequila Cream with Chocolate (20%abv) is presented in a golden bottle, described as a perfect gift item in travel retail. 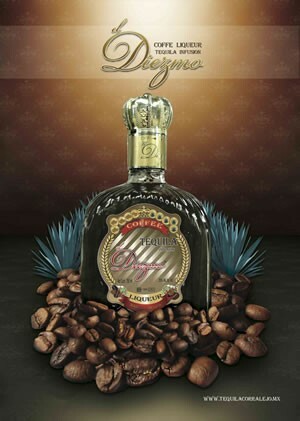 El Diezmo Tequila Coffee infusion liqueur, also in a 750ml bottle, is created from fresh roasted coffee beans harvested in the Mexican Highland region of Chiapas and infused with Tequila for 20 days giving, according to the brand, an authentic coffee aroma and subtle flavor.